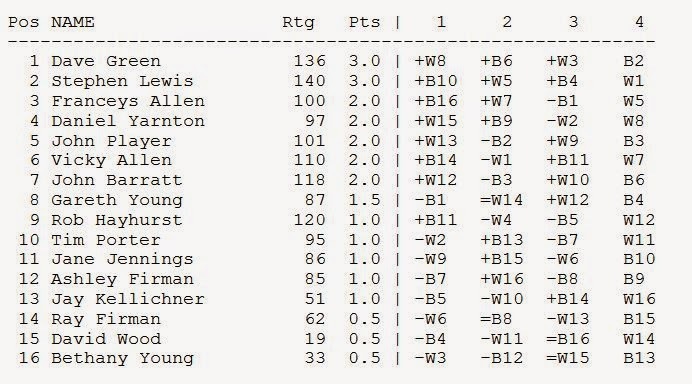 "In a repeat of last year's Round 3, Dave Green and Stephen Lewis meet in Round 4 with the two remaining 100% scores. 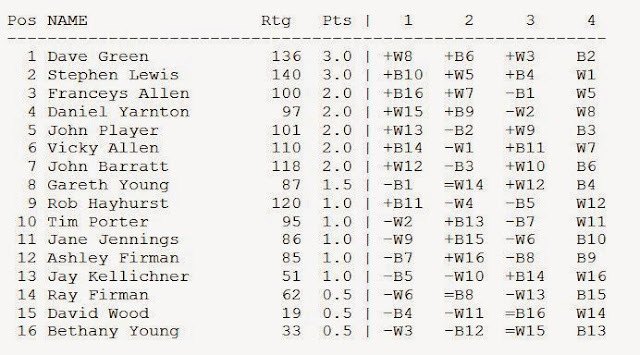 On the other high boards the final two rounds will see some competitive pairings amongst the following group of five, with only 18 grading points separating the highest and lowest graded players to only drop one point. Newcomers to Suffolk Chess Tim Porter, Jay Kellichner and Ashley Firman have all picked up valuable game experience in competitive matches and all have scored their first graded wins, whilst new club member David Wood got off the mark by sharing half a point with Bethany Young in Round 3."